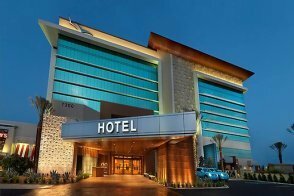 Aliante Casino, Hotel & Spa brings the latest in gaming, entertainment, dining and fun to North Las Vegas, just 30 minutes from the Las Vegas Strip and 15 minutes from the Las Vegas Motor Speedway. The contemporary resort has a casino, multiple restaurants, a showroom and a 16-screen movie theater with stadium seating and IMAX capabilities. 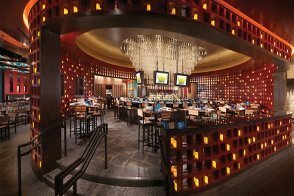 Thanks to clever architecture, the lengthy casino floor appears to be devoid of columns, offering unencumbered sightlines. 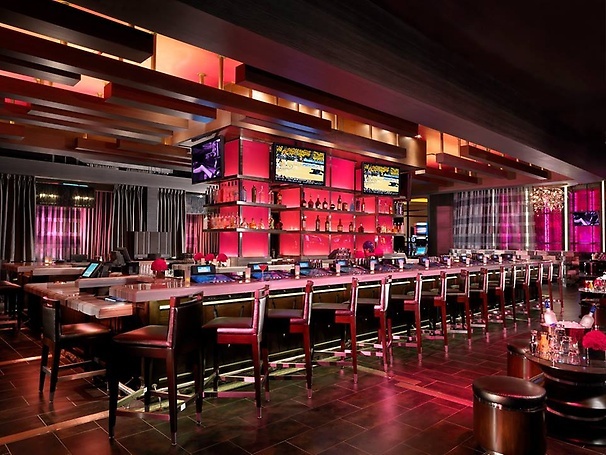 A center bar, ETA Lounge, stands in the middle of the action. The casino perimeter is lined by the property's restaurants, such as MRKT Sea & Land, a fine steak and seafood eatery, the European-inspired Bistro 57, the cafe Farm 24-7 and The Salted Lime, as well as the 650-seat Access Showroom and the movie theater. Parking is easy with more than 3,000 spaces in the garage and almost 2,000 more outside the garage. The hotel itself features 202 rooms decorated in a contemporary style with all the modern conveniences of the finest resorts, such as 42-inch plasma televisions, internet access, audio entertainment and refrigerators. 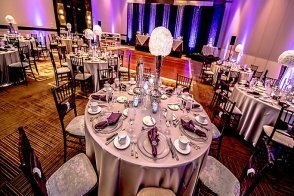 More than 20,000 square feet of meeting and banquet space accommodates groups of all sizes. The space is privately tucked off the lobby, near the resort's oasis-like pool, allowing conference attendees to avoid the casino if they choose. 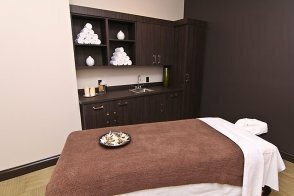 The spa Re:lax offers a wide arrange of body treatments and facials, incorporating ingredients from renowned spa brands such as Epicuren and Moroccanoil. Aliante is walking distance from the 18-hole championship course Aliante Golf Club, with easy access to Clark County Interstate 215 and Interstate 15. While its location in North Las Vegas may seem distant from the action of the Las Vegas Strip, it's an easy drive. Yes, includes more than 2,000 slot machines and 40 table games. The casino includes Poker Pro electronic tables with daily tournaments. There is also an all-paper, all-day bingo hall. Yes, a 170-seat race and sports book. 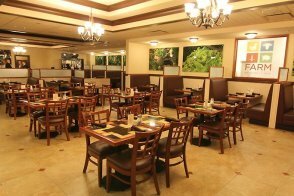 Aliante Casino and Hotel has the following dining options: Farm 24-7, MRKT, Medley Buffet, Bistro 57, T.G.I. Fridays, The Salted Lime, T.G.I. Friday's, Starbucks and a food court. 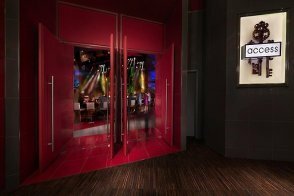 Entertainment includes live music and other headliners in the Access Showroom, a 650-seat, theater-style venue with VIP booths, and the ETA Lounge. Yes, the ETA Lounge is a bar offering bottle service as well as live DJs and music. 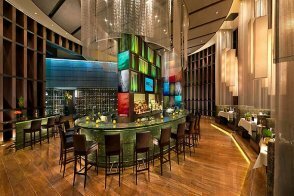 There are vibrant bars in many of the resort's restaurants as well. Yes, a 16-screen cinema including an IMAX theater. The Aliante Golf Club is also within walking distance. Yes, there's an outdoor pool with a hot tub, cabanas and bar. 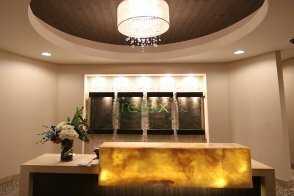 Yes, the full-service Re:lax spa. Yes. 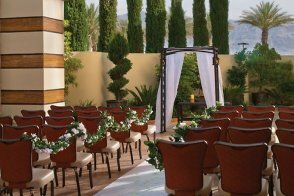 Wedding services are available with prime locations throughout the property. No, but limited business services are available. 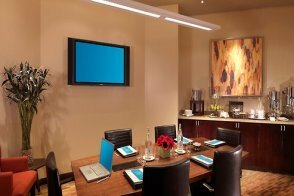 Yes, 21,000 square feet of meeting space with 10 separate rooms. Yes, it's offered daily from 6 a.m. - 10 p.m. Yes, dogs only (20-pound maximum weight). There's a $100 non-refundable fee. Yes, it's included for a separate fee based on speed. Concierge services, ATM, internet access, fitness room, golf course adjacent to the property. Guests traveling with cash may still check-in, but all applicable fees plus $100 deposit is required. The $100 incidental deposit is refundable at check-out. 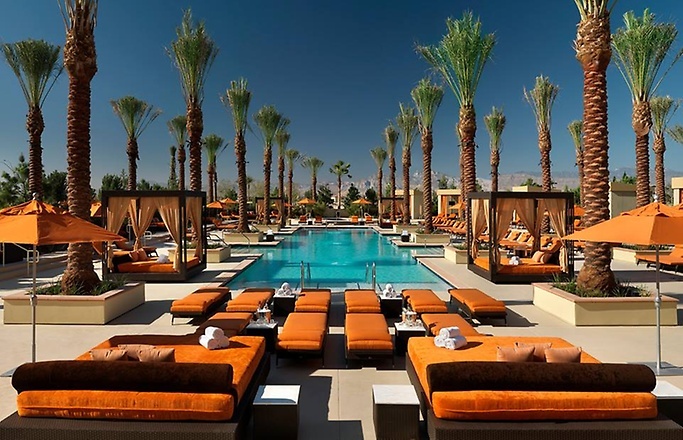 Resort fee Aliante Casino and Hotel has a $24.99 per room, per night resort fee. This fee is not included in your reservation and will be collected by the hotel. Local and domestic long distance calls. Coffee and tea service in the hotel lobby from 6 a.m. - 10 a.m. Airline check-in and boarding pass printing. Unlimited access to the fitness room and 24-hour Jacuzzi. Transportation to Aliante Golf Club (reservations required). Two bottles of water (per stay). Evening turndown service (upon request). Resort fee listed does not include tax. Measuring 380 square feet, each room comes with one king bed surrounded by contemporary décor elements. Other amenities include a 42-inch plasma TV, audio entertainment, a refrigerator and an in-room safe. Measuring 380 square feet, each room comes with two queen beds surrounded by contemporary décor elements. Other amenities include a 42-inch plasma TV, audio entertainment, a refrigerator and an in-room safe. The bathroom has a combined shower / tub.